Picking recommended ELISA Kits will save you time - yet all 61 products covered by our Money Back Guarantee! 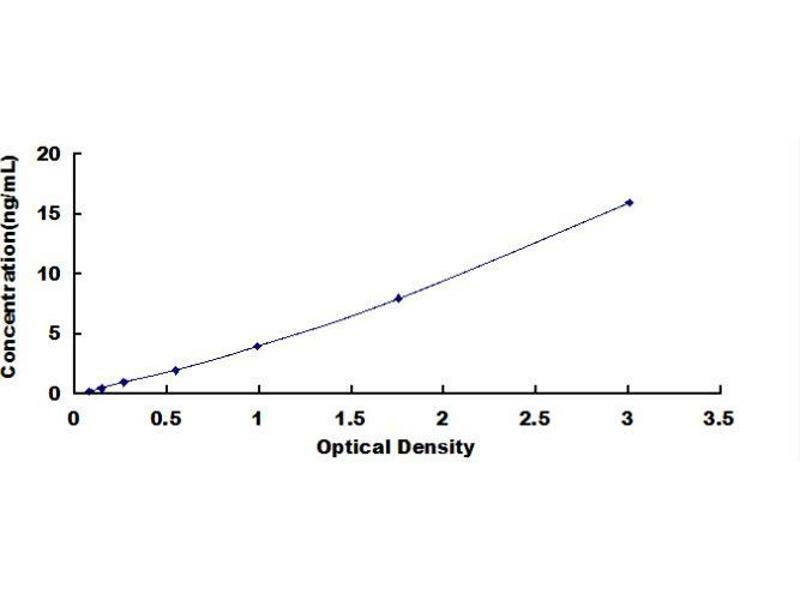 Diagramm of the ELISA kit to detect Mouse AQP-1with the optical density on the x-axis and the concentration on the y-axis. 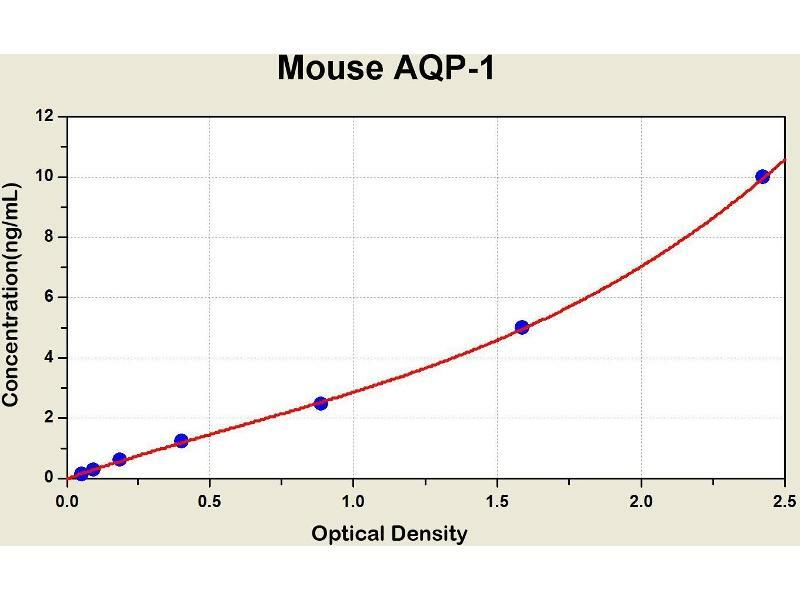 Aquaporins are a family of small integral membrane proteins related to the major intrinsic protein (MIP or AQP0). This gene encodes an aquaporin which functions as a molecular water channel protein. It is a homotetramer with 6 bilayer spanning domains and N-glycosylation sites. 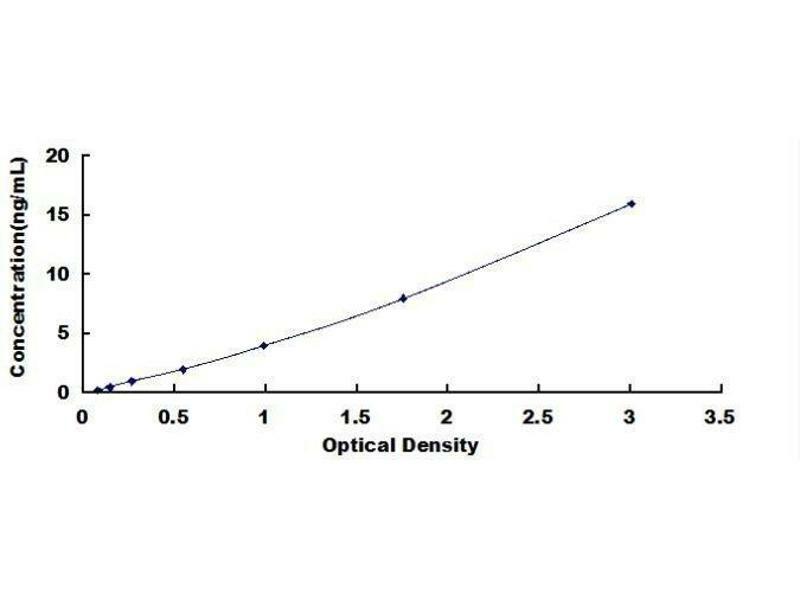 The protein physically resembles channel proteins and is abundant in erythrocytes and renal tubes. 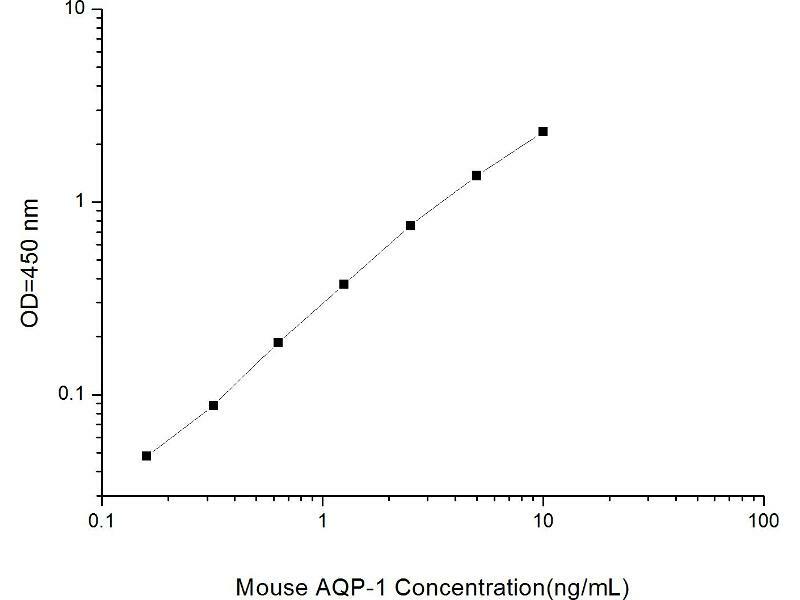 The gene encoding this aquaporin is a possible candidate for disorders involving imbalance in ocular fluid movement. Several transcript variants encoding different isoforms have been found for this gene.